* 30-year Treasury constant maturity series was discontinued on February 18, 2002 and reintroduced on February 9, 2006. From February 18, 2002 to February 8, 2006, Treasury published alternatives to a 30-year rate. See Long-Term Average Rate for more information. Treasury discontinued the 20-year constant maturity series at the end of calendar year 1986 and reinstated that series on October 1, 1993. As a result, there are no 20-year rates available for the time period January 1, 1987 through September 30, 1993. Treasury Yield Curve Rates. These rates are commonly referred to as "Constant Maturity Treasury" rates, or CMTs. Yields are interpolated by the Treasury from the daily yield curve. This curve, which relates the yield on a security to its time to maturity is based on the closing market bid yields on actively traded Treasury securities in the over-the-counter market. These market yields are calculated from composites of quotations obtained by the Federal Reserve Bank of New York. The yield values are read from the yield curve at fixed maturities, currently 1, 3 and 6 months and 1, 2, 3, 5, 7, 10, 20, and 30 years. This method provides a yield for a 10 year maturity, for example, even if no outstanding security has exactly 10 years remaining to maturity. Treasury Yield Curve Methodology. The Treasury yield curve is estimated daily using a cubic spline model. Inputs to the model are primarily bid-side yields for on-the-run Treasury securities. See our Treasury Yield Curve Methodology page for details. Negative Yields and Nominal Constant Maturity Treasury Series Rates (CMTs). Current financial market conditions, in conjunction with extraordinary low levels of interest rates, have resulted in negative yields for some Treasury securities trading in the secondary market. Negative yields for Treasury securities most often reflect highly technical factors in Treasury markets related to the cash and repurchase agreement markets, and are at times unrelated to the time value of money. As such, Treasury will restrict the use of negative input yields for securities used in deriving interest rates for the Treasury nominal Constant Maturity Treasury series (CMTs). Any CMT input points with negative yields will be reset to zero percent prior to use as inputs in the CMT derivation. This decision is consistent with Treasury not accepting negative yields in Treasury nominal security auctions. In addition, given that CMTs are used in many statutorily and regulatory determined loan and credit programs as well as for setting interest rates on non-marketable government securities, establishing a floor of zero more accurately reflects borrowing costs related to various programs. For more information regarding these statistics contact the Office of Debt Management by email at debt.management@do.treas.gov. Financial And Forex Info: From Forbes - Media: NY Times vs. Bloomberg News: . NY Times vs. Bloomberg News: It’s War! The stated goal of Bloomberg News is to be “the world’s most influential news organization.” That’s unsettling to The New York Times, which currently holds that distinction, or at least likes to think of itself that way. And it’s even more unsettling when Bloomberg starts muscling onto the Times’s turf and poaching its people. You already know that Bloomberg hired David Shipley, the paper’s deputy editorial page editor, to head up its launch of a new opinion service, Bloomberg View. That was enough of a blow to the Times, where Shipley is held in high esteem for his ability to coax op-ed contributions from prominent and diverse personages. But the hurt got worse when Shipley turned around and hired two of his deputies, Mary Duenwald and Toby Harshaw, to come with him. (I’ve left messages for Duenwald and Harshaw and emailed a Bloomberg spokesperson to confirm the hirings but haven’t heard back yet.) “To take two people who know how to do what he does — it’s devastating,” says a Times source. Bloomberg’s unforeseen aggression — no one at the Times had heard about Bloomberg View until Shipley tendered his resignation — has spooked the Times into action. According to the source, the “reinvention” of the “Week in Review” section announced last month was conceived in response to the perceived threat from Bloomberg. Shipley’s successor at the op-ed page, Trish Hall, is spearheading that overhaul. She’s said to be “a genius” at re-launching sections, and was the creator of the Sunday “Escapes” section. Apple's chief executive interrupts a medical leave to introduce the much-anticipated new iPad, a thinner, faster and lighter version of its tablet. Oil prices climbed on fears of further supply disruptions from the Middle East and North Africa. Retail sales and manufacturing grew in most regions, the report said, while the labor markets improved modestly. The Food and Drug Administration took the action because many of the medicines have not been approved or tested. John Galliano, who was fired on Tuesday as chief designer for Christian Dior, will be put on trial for the alleged offenses, Paris prosecutors said. UPDATED Ian Sherr STEVE Jobs surprised a crowd of fans today by unveiling the new iPad, which is thinner, lighter, faster and has video cameras. Lara Sinclair SPECULATION that James Packer might quit his $125 million stake in the Ten Network mounted last night after his dramatic resignation from the board. UPDATED Jonathan Cheng US stocks edged up today, recouping some of the previous session's sharp sell-off, as oil rose above $US100 and gold hit a new record high. 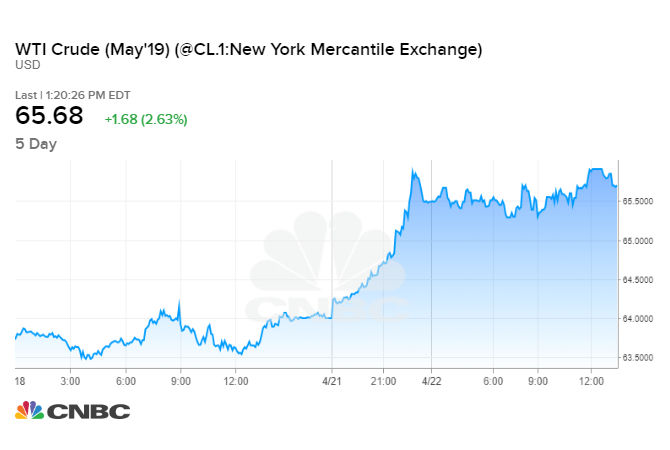 Dan Strumpf US oil futures settled above $US100 a barrel for the first time in more than two years today, lifted by fresh fighting in Libya. Tim Boreham LIKE a well-rehearsed Broadway performance, this year's interim reporting season went to script. Jeff Bater and Tom Barkley THE US economy grew modestly in early 2011 and the weak jobs market improved, as businesses reported rising costs, the Federal Reserve said. Leo Lewis ZONG Qinghou, China's richest man, has stunned the country's retail industry with plans to open 100 department stores. Jennifer Hewett FRANK Lowy may be stepping down as executive chairman but his shopping centre empire is simultaneously stepping up its plans for expansion. Financial And Forex Info: The Australian Capital Circle: Backbench revolt pressures PM. Julia Gillard is backing away from suporting Greens legislation that caused a backbench revolt. The PM's day, per the press office: Julia Gillard is starting her day with an announcement at the Australian War Memorial at 8am. She will hold a joint press conference with visiting Malaysian Prime Minster Datuk Seri Mohd Najib Tun Abdul Razak around noon, and and then attend question time. Tony Abbott is on air across regional Australian again today, highlighting the impact of the PM's plan to price carbon. Mr Abbott will attend question time later in the day. Moving on: After six and a half years in the top job at Catholic Social Services, Frank Quinlan has resigned and is taking over in the top job at the Mental Health Council of Australia. A familiar face on the Hill, his successor has big shoes to fill. Barack Obama is often strangely absent from the most important debates. Journalists look bad in a kerfuffle about reporters' dealings with Rep. Darrell Issa. Texas's rising Latino population and GOP nativism could turn the state Democratic. Could an ancient Muslim practice resolve the case of an arrested CIA contractor? I never realized I was a communist -- until Glenn Beck made me see the truth. The Supreme Court deliberates over cocaine -- and takes a mind-blowing hit. 8) Can the Arab world leave anti-Semitism behind? As Arab nations rise up against tyranny, it's time they rejected anti-Semitism. The GOP wants Obama out, but its potential 2012 candidates are uninspiring. How we can spend less on education and still boost student achievement.